Fujifilm’s X100 fixed-lens camera with its APS-C sensor was big news when it was released in 2011, and interest was at a peak for its successor, the X100S. 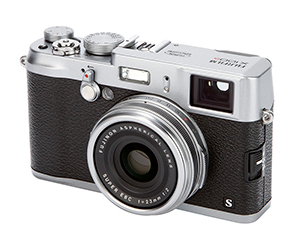 Wisely keeping the retro-styled look that proved so popular on the X100, Fuji made improvements to the interior of the X100S. The upgraded X-Trans sensor is the same as can be found in the X-Pro1 and X-E1, and puts the X100S in good company when it comes to image quality. 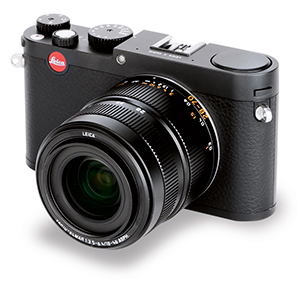 The X100S uses the same single fixed-focal length lens as its predecessor – a 23mm (35mm equivalent) f/2 optic. While this does mean it lacks some flexibility, this is a good all-rounder that lends itself well to street photography. A WCL-X100 conversion lens can also be employed to shorten the equivalent focal length to 28mm. This effectively functions as a second lens, and provides some versatility that the X100S otherwise lacks. Although the camera may not be versatile, we were hugely impressed with the fine image detail it produced, resolving exceptionally well even at high sensitivities. The inclusion of the new EXR Processor II, also seen in the XE-1, makes the X100S faster too, with high-speed burst of 6fps. Leica fans may have been expecting a miniature version of a Leica M camera in the run-up to the X Vario, but what actually arrived was a larger X-series camera. The X Vario is a large-sensor compact, one of the first to feature a fixed zoom lens, in this case an 18-46mm f/3.5-5.6. This is a relatively small maximum aperture, especially compared to similar-specification cameras on the market. The Leica X Vario is capable of shooting at a shutter speed of up to 1/2000sec, with bursts of 5fps possible for up to eight frames when shooting JPEG and DNG raw. While the Leica X Vario produces great images, the biggest frustration comes in the form of its price. This camera is for the enthusiast with deep pockets. 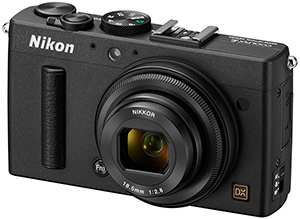 Up against the Fujifilm X100S and the Sony Cyber-shot DSC-RX1, pressure was on the Nikon Coolpix A to deliver in light of the increasing turmoils suffered by the compact camera market. Although it looks reminiscent of the Coolpix P330, the Coolpix A is, in fact, a very different prospect. The APS-C-sized 16.2-million-pixel sensor that has been crammed into the slim body is the same as that featured in the Nikon D7000 DSLR, and the removal of the low-pass filter allows the camera to make the most of its sharp image quality. As you might expect, the image quality is excellent, with edge-to-edge sharpness and supreme low-light performance. There are features lacking that some may have welcomed – a built-in viewfinder or EVF, for instance, although this would no doubt have compromised the pocket-sized build of the Coolpix A. This is the same build that, while convenient, can make it hard to grip. These are, however, mere quibbles because the Coolpix A is an excellent camera. 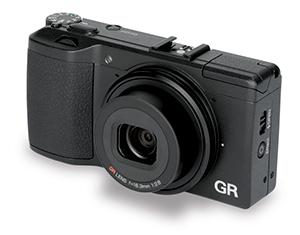 Pentax’s Ricoh GR burst onto the market with one feature that made everyone sit up and take notice – its price. At £599 it was (and still is at around £570) a modest asking price in the advanced compact market, especially given the camera’s heritage in the venerable and well-regarded GR series. 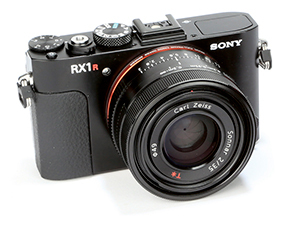 Following the success of the popular RX1, Sony returned to the field with the upgraded RX1R. A compact camera with a DSLR-sized sensor and no low-pass filter, the RX1R was released for the same price as the standard RX1. It boasts the same full-frame Exmor sensor and Bionz processor, which allows for a native ISO range of 100-25,600 that can be extendable to ISO 102,400 by use of multi-frame noise reduction. An important feature of the RX1R is its fixed Carl Zeiss 35mm f/2 lens, which works with the sensor to produce superb pin-sharp images. The lack of a low-pass filter did mean that we found an increase in moiré, although only when we put the camera in moiré-prone situations. If you’re shooting landscapes you’re unlikely to encounter much moiré, but it’s worth being careful with finer detail. In those cases, Adobe Lightroom 5’s moiré reduction tool serves admirably, if a little laboriously.